Osteoarthritis is a degenerative joint disease that affects 300 million people worldwide, a figure that has doubled in the last 30 years and affects an increasingly younger population. Despite its social impact, it remains an unknown disease and distant for those who associate it exclusively with old age. The International Osteoarthritis Foundation, or better known as OAFI, is the first and only foundation worldwide that aims exclusively at people with osteoarthritis. It is an entity that promotes prevention, treatment and research of joint health and which offers solutions to people suffering from this pathology in order to improve their quality of life. explains Dr. Josep Vergés, president of the Foundation. According to Vergés, one of the areas of interest is to assess the functional capacity of joints and that, “until now was done through subjective criteria of questions to the patient through indexes or scales”. For this reason, the Foundation has decided to collaborate with a company that is committed to innovation such as DyCare: “the company DyCare provides a very innovative technology through a device that measures the functionality of joints numerically and not subjectively, so we find it very interesting to develop this technology in conjunction with the company”, He also believes that with Lynx “we can assess the joint function before and after therapeutic measures (drugs, rehabilitation, weight loss, nutrition, etc.). All this will allow us to see whether the treatments we use are effective or not”. Dr. Vergés believes that teamwork is what drives science forward. The president hopes that the collaboration with DyCare “will be very fruitful and can help our patients to improve their disease”. DyCare will participate in the II International Congress of Osteoarthritis Patients. 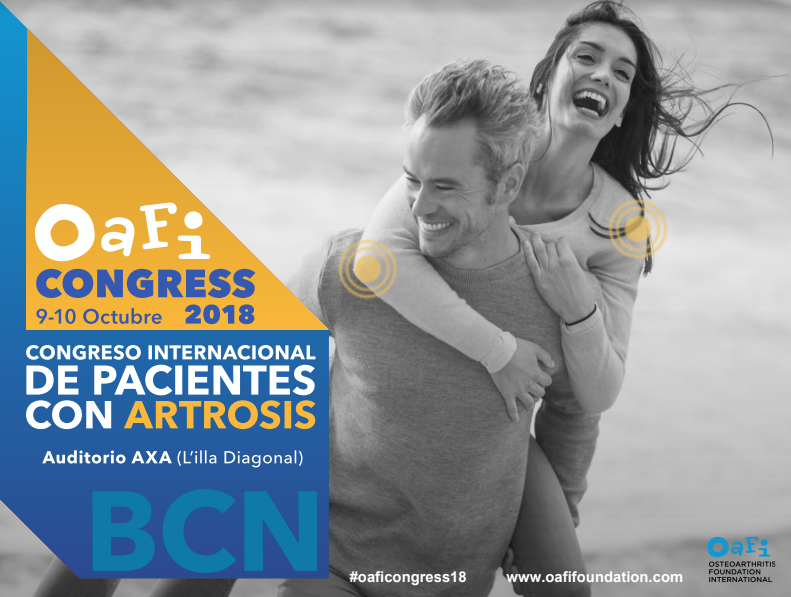 On the occasion of the International Day of Rheumatic Diseasescelebrated on October 12th, OAFI organizes the II International Congress of Patients with Arthrosis where the impact of the disease on the different aspects of the life of the patient will be discussed, and where scientific novelties and new treatments will be exposed. The main objective of the event is to give visibility to the disease and to the people who suffer from it. The event will take place on October 9 and 10 at the AuditoriAxa (L’Illa Diagonal) in Barcelona and will be free of charge. In addition to the participation of recognized experts in different disciplines, such as the economist Santiago Niño-Becerra, Venerable ThubtenWangchen, Buddhist monk and founder of the House of Tibet; or Tomás Molina, specialist in meteorology, the Foundation has given DyCare the opportunity to present Lynx in a demonstration on the evaluation of functional capacity through the device by Silvia Raga, CEO and co-founder of the company. In addition, the company will have a stand that will allow the assessment of joint movement of patients with osteoarthritis throughout the congress.